Rivals in just about every thing, North Carolina A&T and North Carolina Central are competing to see who can raise the most cash. North Carolina A&T and North Carolina Central are rivals in just about everything. The state’s biggest HBCUs, the two schools have fierce competition 24/7, 365 in anything from football to Swag Surf. 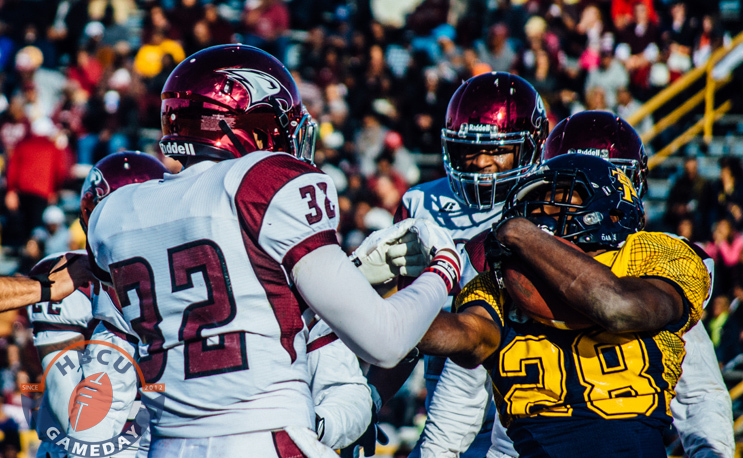 A&T and NCCU will compete again on the football field on Nov. 18 in Greensboro, but before that takes place there will be an off-the-field competition that is arguably much more important than any athletic competition, including a MEAC title that could hang in the balance. The two schools will participate in a “giving challenge” to raise money from Nov. 1 through Nov. 18. NCCU will use its funds for athletic scholarships, the school’s general scholarship fund and the Sound Machine. The schools are encouraging their alumni family and friends to give any amount possible, as each $100 raised is worth one point. Through noon, Nov. 2, A&T led 33-13. Norfolk State and Virginia State participated in a similar challenge prior to their rivalry game at this year’s Labor Day Classic in Norfolk. NCCU, the three-time defending MEAC champion, is set to kickoff against A&T at 1 p.m.